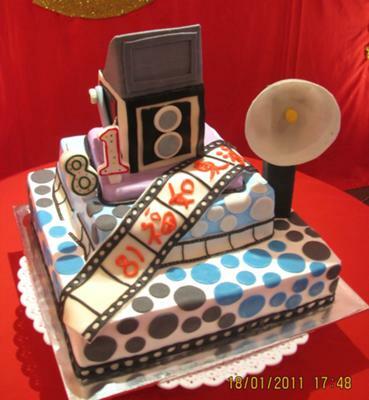 This 2 tiers cake and the camera is frosted with whipping cream and decorated with fondant. For an 81 years old man who loves taking photos all his life. How did you make the dome flash part?